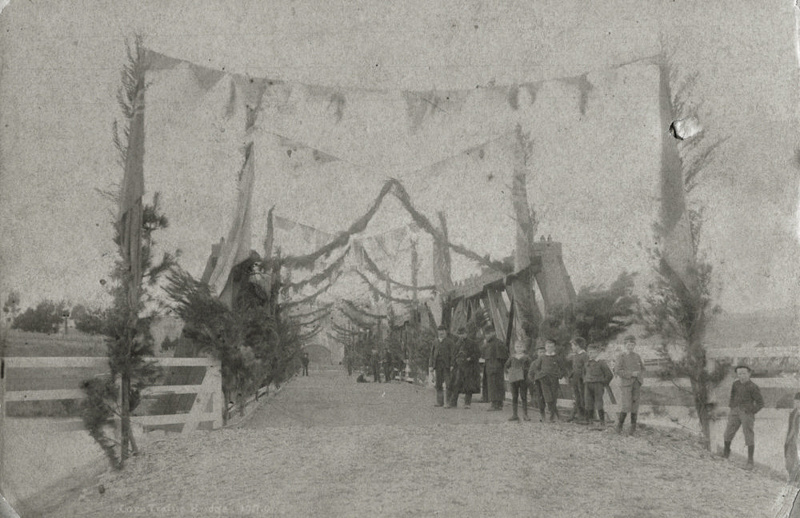 This photograph is of the opening of the Gore traffic bridge in 1896. While the opening predated cars in the district, it meant that residents and visitors from the north and east no longer had to risk crossing the rail bridge. 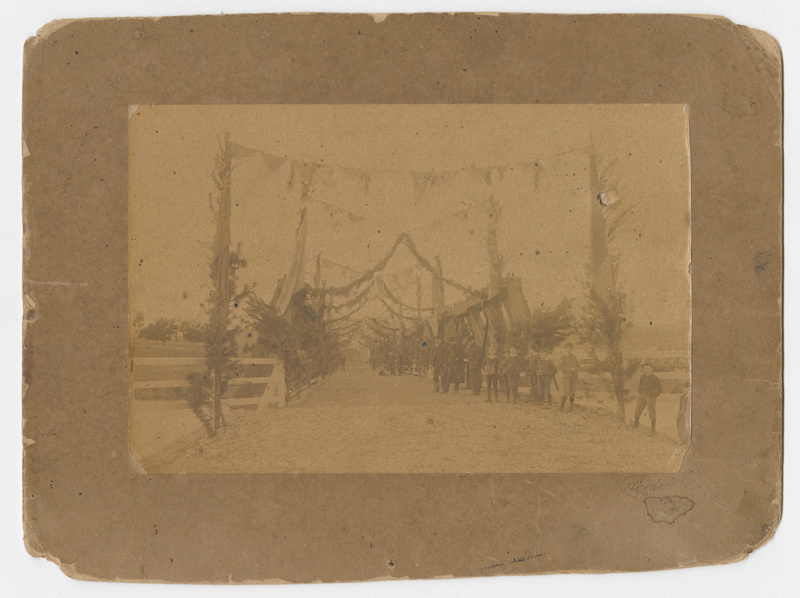 We have added two versions of the photograph to this record, the first is the faded and yellowed original. The second is an enhanced copy simply to provide greater detail.